Date of publication: November 08 2014 . Today remake promises to be pretty "grand". Note, however, that we consider it appropriate to use it in a private home. Firstly, because of its bulkiness. Second, because of its purpose: it is planned to adopt a considerable number of visitors, which, again, more comfortable to see more "spacious" conditions. However, read, study, watch photos and draw conclusions on their own. So, to be consistent and to our story really was ready guide to action, let's look at what we need to be purchased for this alteration. 9. Worktop OKERBI 186 * 62 see. Here we are prepared for the alteration. We hope that you have thought a place in advance home bar. By the way, it should be done before the purchase of materials. When everything is purchased, the first step in a series of shelves collect goods Billy. 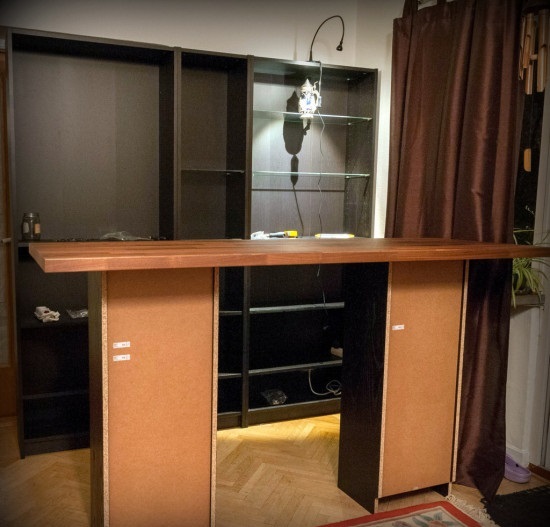 How nice that IKEA furniture can be assembled without possessing special skills and a relatively short time! 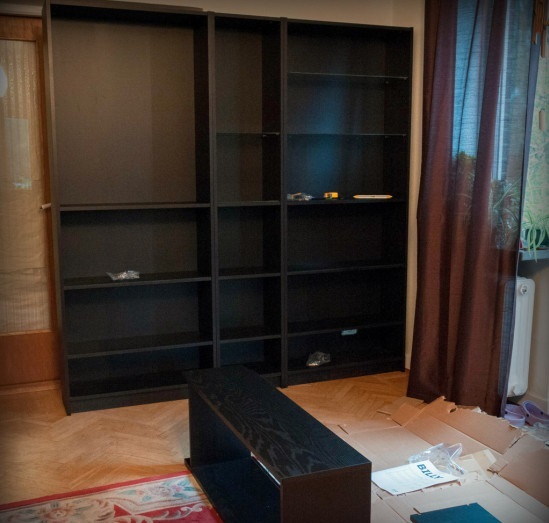 As a result, we should get the following structure for the bar: large BILLY bookcaseThen small and narrow, and complements the design again a big rack of a series of BILLY. 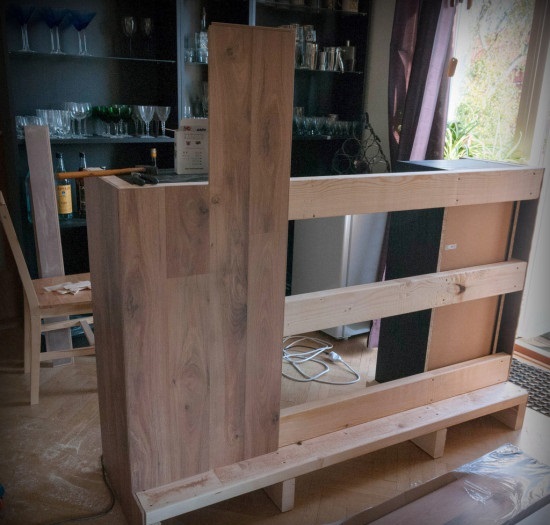 Thus, we get a huge, spacious bar with open polkami.Sovetuem securely attach the resulting structure to the wall, pre-cementing BILLY racks together. For aesthetics, we suggest you use the additional BILLY glass shelves sizes 36 and 76 cm * 26 see. Low shelving BILLY applicable for equipment bar. They will serve as a kind of support for stabilization countertops OKERBIWe are located on the top of them. And then close the bar by means of the floor panels can be laminated. The panels takes place on the perimeter, latching onto a wooden crate. 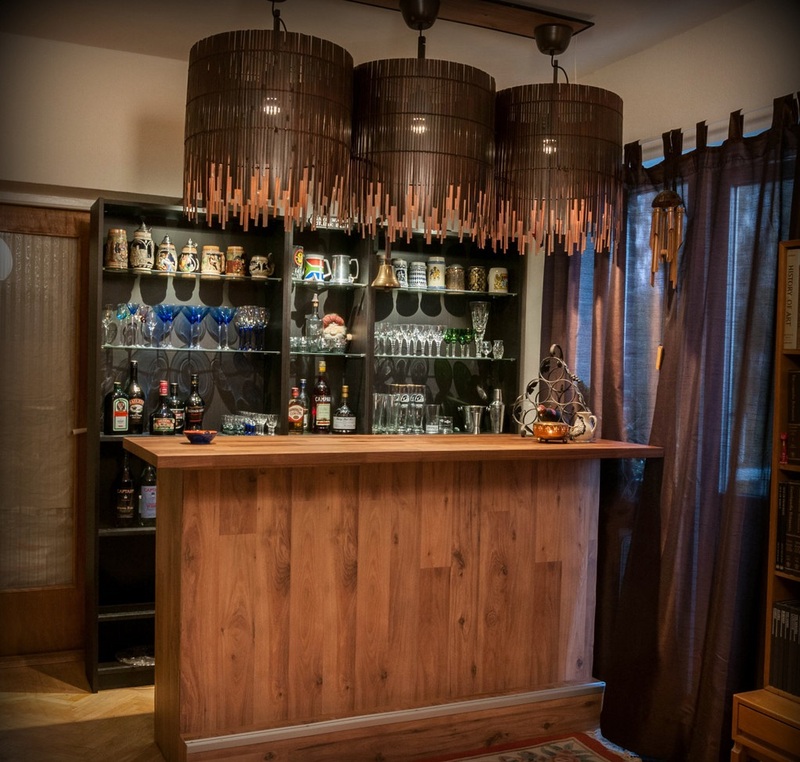 We stayed one more step: Make a lighting bar corner. 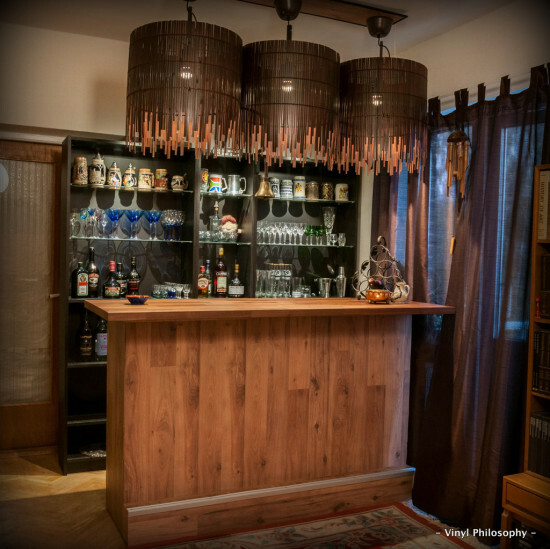 We do this with the help of large bamboo pendant fixtures ROTVIK. Place them so that they hung over the bar. 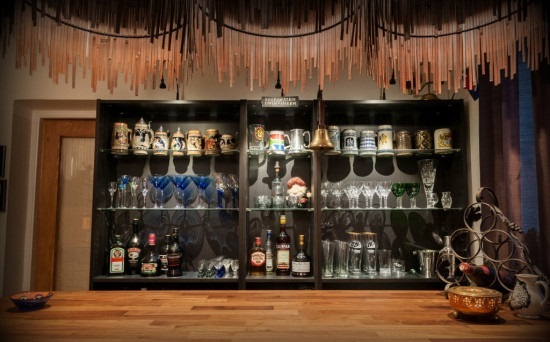 With regard to the operation, the large closets we use to store bottles, beer mugs, wine glasses, wine glasses, etc. 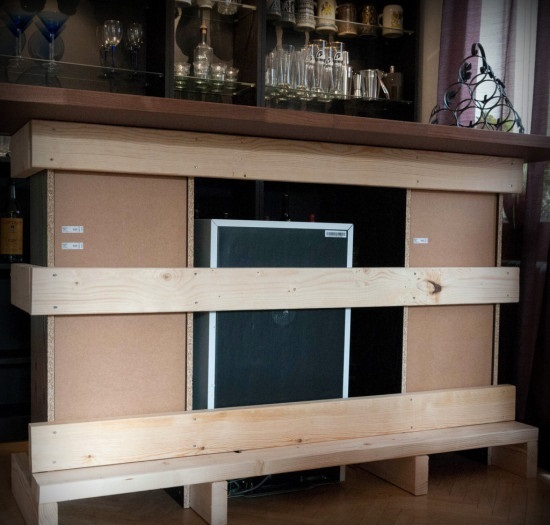 A low BILLY shelves can store additional accessories, moreover, these shelf racks are not available for review, which is very handy if you need to hide something from prying eyes. If there is need for a backlight as in the present bar, this can be accomplished by work lamps YangshuoBy placing them on top of the racks. 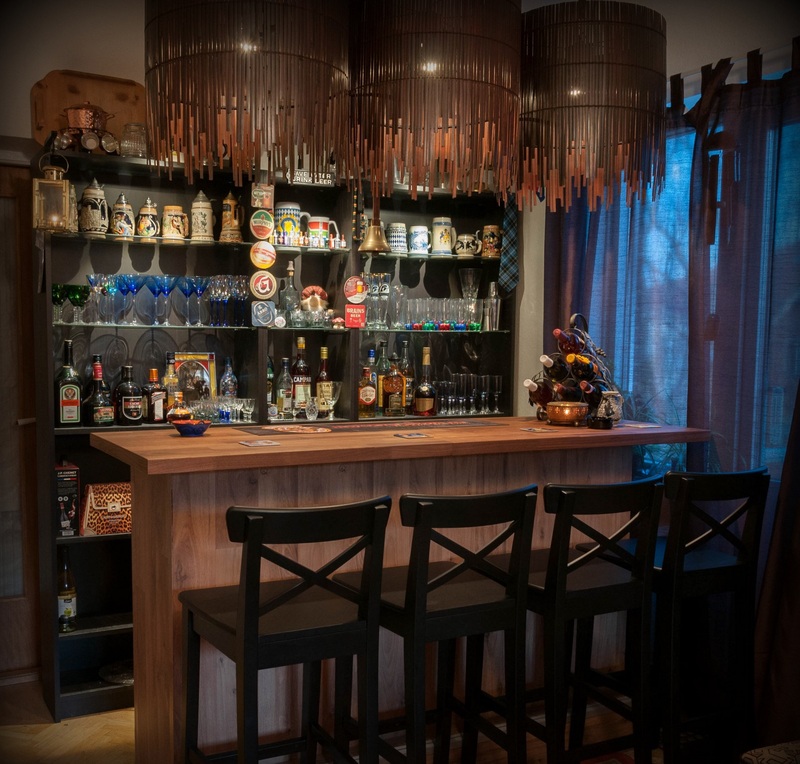 Now we are ready to receive visitors and relax at the bar from the comfort of bar stools Ingolf. This bar is very worthy underline your taste, it is beyond doubt. But I have a question, not too it is executed in gloomy tones? 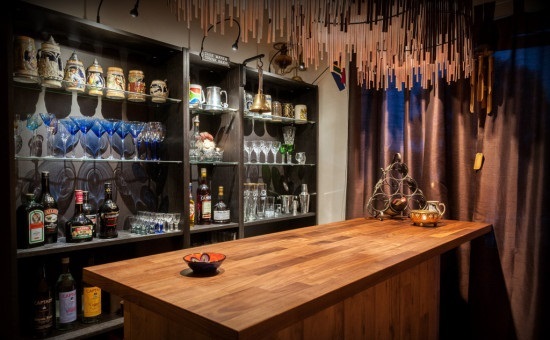 And whether it is possible to choose the framework for the bar itself in lighter colors?